The Tabla of Lucknow: A Cultural Analysis of a Musical Tradition (Cambridge University Press, 1988; reprinted by Manohar, 2005) explored the life and music of a community of hereditary drummers in North India. Gurudev’s Drumming Legacy: Music, Theory and Nationalism in the Mrdang aur Tabla Vadanpaddhati of Gurudev Patwardhan (Ashgate, 2006) translates, transcribes and analyses an early reformist text on Indian drumming, and places the work in rich historical and sociocultural contexts. James Kippen is the co-editor of the book Music, Dance and the Art of Seduction (Eburon, 2013). Visiting Research Fellow, King's College, London, on the European Research Council-funded project Musical Transitions to European Colonialism in the Eastern Indian Ocean. The project investigates how and why transitions from pre-colonial to colonial musical fields occurred in India, and focusses particularly on the changing relations of pre-colonial Muslim courts, subaltern labour, and colonial settlements. Currently working on a new book project: Eighteenth and Nineteenth Century Sources on Drumming in North India. Undertaking research at the British Library. James Kippen is Professor of Ethnomusicology. 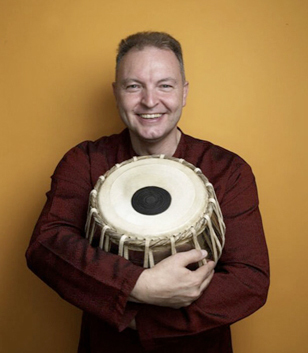 He studied under the pianist and conductor David Parry before developing an interest in Hindustani music and Javanese gamelan at the University of York (UK) under Neil Sorrell. He studied Social Anthropology and Ethnomusicology under John Blacking and John Baily at Queen's University, Belfast. His doctoral research in Lucknow, India, dealt with tabla drumming in its sociocultural context, particularly as interpreted by his teacher, the hereditary master Afaq Hussain Khan. He held two post-doctoral fellowships for computer-assisted musical analysis, and taught Anthropology and Ethnomusicology courses at Queen’s before joining the University of Toronto in January 1990. Since then he has been awarded three major research grants from the Social Science and Humanities Research Council of Canada to pursue investigations into cultural concepts of time in Indian music and society, and the changing theory and practice of rhythm and metre in Hindustani music. He continues to study and practise both tabla and pakhavaj drums. He also studies and performs Balinese gendèr wayang music with the ensemble Seka Rat Nadi.